Fiore is a demonstrated advocate with exceptional knowledge of local, state and federal laws and of national and international legal and business regulations. He joined the firm in 2011. Most companies play defense when reacting to changes with local, state, federal or international laws and regulations. Advocating for reasonable laws and regulations that encourage economic development and job creating, savvy business and trade associations must play both offense and defense. In order to do so, these organizations need strong advocates when navigating such issues. Fiore has been advising companies and associations of all sizes for more than 15 years with thoughtful counsel on practical, political and legal considerations to tackle the issues clients encounter. Companies he serves range from small “mom-and-pop” shops to national trade associations and international corporations. 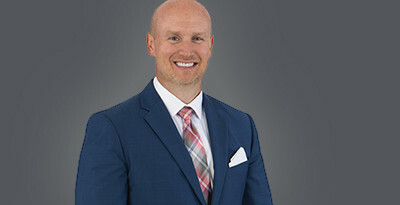 Fiore began building relationships as a member of the Ohio Chamber of Commerce’s Governmental Affairs team for more than a decade before joining Kegler Brown. In addition, Fiore is the treasurer for the firm’s Political Action Committee (PAC) and manages the firm’s 50-state lobbying compliance practice area. This practice provides government affairs counsel and compliance services to companies advocating for prudent reforms to administrative and legislative changes across the U.S. with state, Washington D.C., or regionally based lobbyists. Fiore is a recognized leader among businesses and both state and national trade associations. His career is marked by his leadership in bringing about significant reforms to Ohio and other states’ unemployment programs, as well as Ohio’s civil justice system. He developed and coordinated the Ohio Chamber’s advocacy for the most comprehensive reforms to Ohio’s Fair Employment Practices Act since its creation. In addition, Fiore counsels companies on best practices within the workplace, risk management strategies for state-funded and self-insured entities, as well as legislative and administrative changes that impact a company’s bottom line. Every company needs a risk management strategy to protect its employees and assets from harm. Fiore works closely with human resource management professionals across Ohio and in Washington, D.C., through his service as the government affairs director on the Ohio State Council of SHRM. He also is the senior editor for a national business association focused on unemployment and workers’ compensation based in Washington, D.C. His experience is strengthened by his extensive relationships with local and state chambers of commerce, the U.S. Chamber of Commerce and the Society for Human Resource Management (SHRM). Fiore has worked with local companies importing goods from foreign countries, foreign governments seeking business development and foreign direct investment opportunities in Ohio, and entities seeking to do business abroad. He possesses a strong interest in helping companies expand their product and service offerings into the global marketplace. He has also worked with businesses in several industries to identify the regulatory burdens of doing business outside the U.S.